Please become a Patron of Petr! 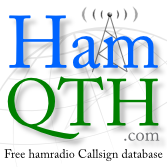 Hi everyone, I'm using CQRLog and Hamlog all the time, it's free and very well programmed. Petr is doing his best to solve all problems and program new options into our beloved software. Therefor, become a Patron, just 1 USD a month is enough, it's only 12 USD a year! You really can affort such sponsering to help him paying his bills. If you love his program, pay this small fee, he deserves this! Also, you can stop at any time if you wish to do so. Bas, I completely agree and have done so last month. The support is first class.